Director of Publication: François Feuillet. All elements contained on this web server (software, texts, animated or non-animated images, sound, know-how, and all types of data in general) are protected by intellectual property laws and are owned by TRIGANO VDL. Copyrighted elements are protected under the provisions concerning author’s rights when they are made available to the public at large on this web server. In this context, the reproduction of all or part of the site is authorized only for information purposes for personal and private use. Any use of reproductions and copies for other purposes and without the previous express authorization of TRIGANO VDL is strictly prohibited. No license nor any other right except that of consulting the site is conferred upon anyone with regard to intellectual property laws. 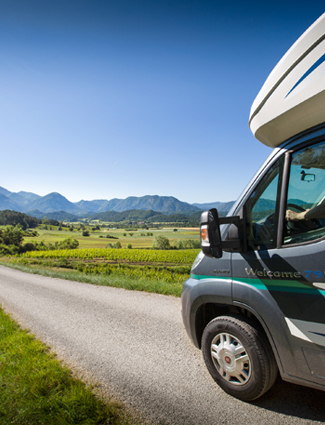 CHAUSSON is a registered trademark and is protected by intellectual property laws; only Trigano VDL may use this trademark. Any reproduction made without the previous express consent of TRIGANO VDL is strictly prohibited. In addition, unless mentioned otherwise, the names, logos, products and brands mentioned on this website are the property of TRIGANO VDL and shall not be used without its previous written consent. 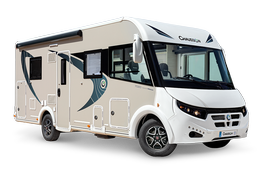 The implementation of a hypertext link toward the www.chausson.tm.fr website requires the previous written consent of TRIGANO VDL. When you visit the www.chausson.tm.fr site, we may implant a cookie on your computer equipment. A cookie is a computer file containing data sent by a Web server to your browser and stored on the hard disk of your computer. Cookies used on this website facilitate navigation on the site and are designed to collect statistics on visit frequency. They are not designed to collect personal information or data for processing. Cookies are never revealed to third parties and are removed after a certain time (30 days). At any time, you may block the registration of these cookies by configuring your browser to do so (Internet Explorer, Netscape, Mozilla, Opera, Chrome, Safari, etc). You can also remove them from your computer by referring to your user guide. 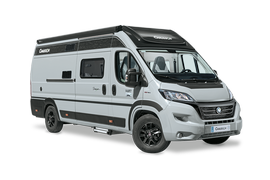 The www.chausson.tm.fr site is edited by the TRIGANO VDL company. This is a showcase site that must never be assimilated to an online sales site including the means to order online. The sole and unique object of this site is to present CHAUSSON products. Purchase of these products is done by visiting one of the brand’s certified dealers, a third party to the TRIGANO VDL company. TRIGANO VDL makes every effort to keep the site updated and reserves the right to correct its contents at any time and without previous notice. TRIGANO VDL cannot guarantee the exactness, precision or exhaustiveness of the information made available on this site. TRIGANO VDL is not responsible for site interruption (technical incidents concerning the server), outside attacks (bugs, modification of site contents due to a cyber attack, etc. ), erroneous information placed on line, or for any damages caused by a third party or in case of force majeure.